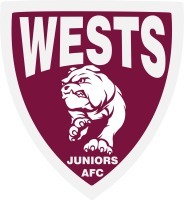 To nominate for a coaching role in 2011, please email your interest and preferred age group/s to westsjuniors@aflq.com.au by 24 January 2011. We intend to complete the appointment process by sign up weekend. The Football Committee, as directed by the Management Committee, will coordinate the appointment of all coaches in 2011. The cost of obtaining coaching accreditation will be supported by the club. For additional information please contact the club's director of coaching Keith "Happy" Wallis, 0401 248 662 or president Rohan Teasdale, 0403 221 312.